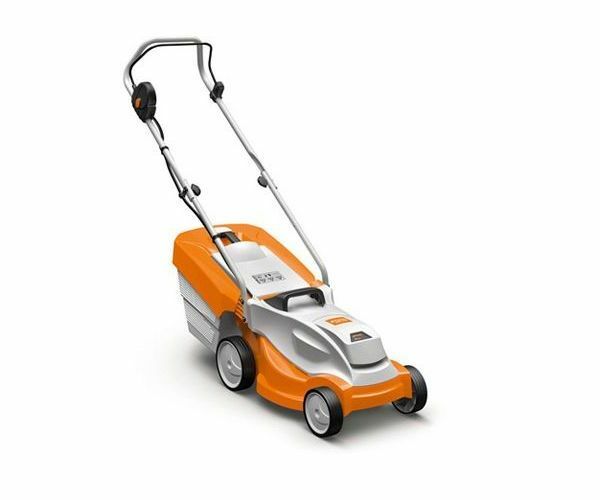 The advantages of the Stihl RMA 235 rechargeable mower are clear to see: at only 14kg it is incredibly lightweight making it easy to handle especially in small gardens. Combined with a foldable handlebar and carry handle, the RMA 235 can be transported and stored with great ease. The necessary energy is provided by the STIHL COMPACT battery system using high-quality Lithium-Ion batteries. The motor unit is also equipped with an always-on eco mode, which, together with the flow-optimised blade, ensures maximum efficiency when mowing. The RMA 235 rechargeable mower boasts central cutting height adjustment allowing you to choose from five height settings, with a scale showing the current setting. The easy-to-open grass catcher box has also been designed to maximise air flow inside the box and collect as much grass as possible. It can be released and emptied in just a few simple steps. The RMA 235 has been awarded a Quiet Mark, which means it is among the quietest mowers on the market.